Melissa Fuller is an herbalist, esthetician, wildcrafter, herbal farmer, mother, and sole creator of Gatherwise Holistic Skincare. Melissa uses her passion for both plants and skin to create seasonal skincare from plants of the Pacific Northwest. She began her studies in skincare over 15 years ago through an intensive international program called, C.I.D.E.S.C.O. and never looked back. 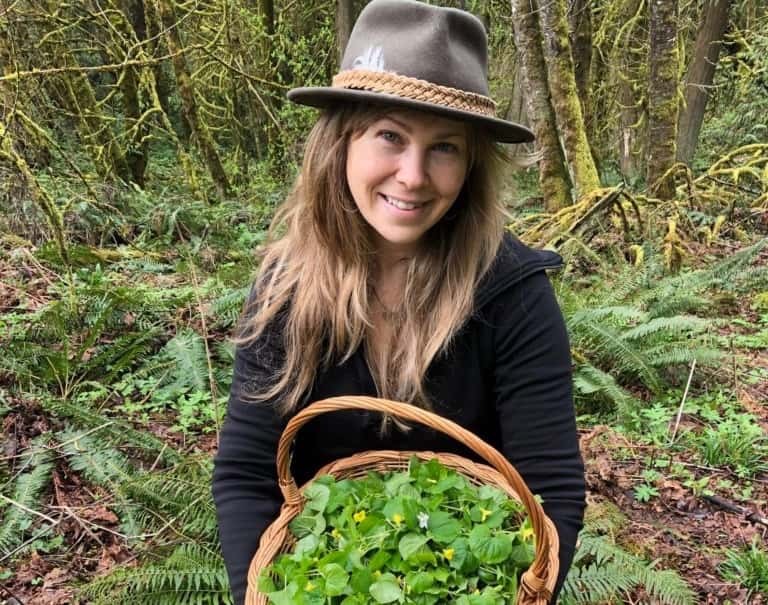 She soon after started using plants as a main focus in skincare and furthered her herbal studies at The Traditional School Of Western Herbalism. Melissa moved to the outskirts of Portland, OR where she can continue to learn from the land and her herbal garden. Melissa believes in the connection we have to the plants and the earth and shows it through her plant based skincare creations.